Simon Bell is Director of Tewkesbury Abbey Schola Cantorum, and Director of Choral Music and Organist at Dean Close School, Cheltenham. In addition to his work directing the weekday services at Tewkesbury Abbey, Simon’s post at Dean Close School includes the direction of the many choirs in the Senior School. Simon read music at the University of Leeds, where he graduated with first class honours. He subsequently studied for a Masters degree at London’s Royal College of Music. 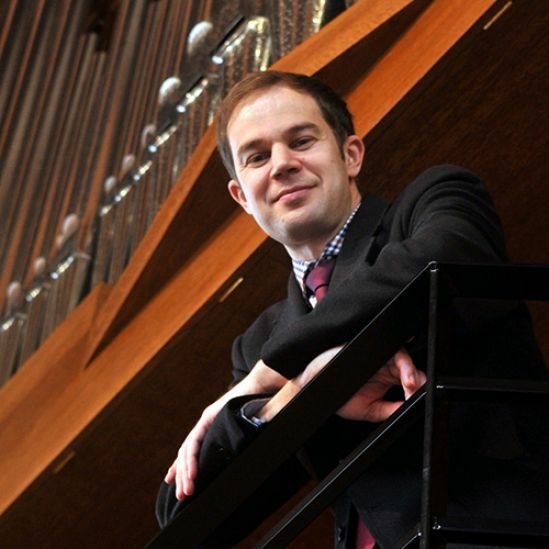 Simon won prizes at the coveted St Albans International Organ Festival both in 2001 and 2005, and is a Fellow of the Royal College of Organists, winning the Limpus prize for the highest marks in the practical examination. He was subsequently awarded the WT Best Memorial Organ Scholarship by the Worshipful Company of Musicians and studied the organ with Gordon Stewart, Margaret Phillips and Ben van Oosten. Simon has held appointments at St Albans Cathedral, Westminster Abbey, Southwell Minster and for four years was Assistant Director of Music at Winchester Cathedral, where he worked with the renowned Cathedral choir, accompanying them in the daily round of services, recordings, broadcasts and tours. Since 2015, he has been Organist at the annual Festival of Music within the Liturgy, held at Edington Priory in Wiltshire.